As we peer closely at the Real Jesus, the Jesus of Revelations One, we see another aspect of Divine Love expressed in His appearance. John saw his golden sash (Agape love that sacrifices all), his white hair (enduring love that lasts through the tests of life), his eyes of fire (discerning love that sets boundaries), his feet of bronze (uncompromising love that desires the strength of His righteousness), and his voice of many waters (distinguishing love). Now we see his right hand, and in his right hand are seven stars. The stars are the messengers to the churches, which could be angels but more likely represent the Pastors, or those responsible for God’s messages to the churches. 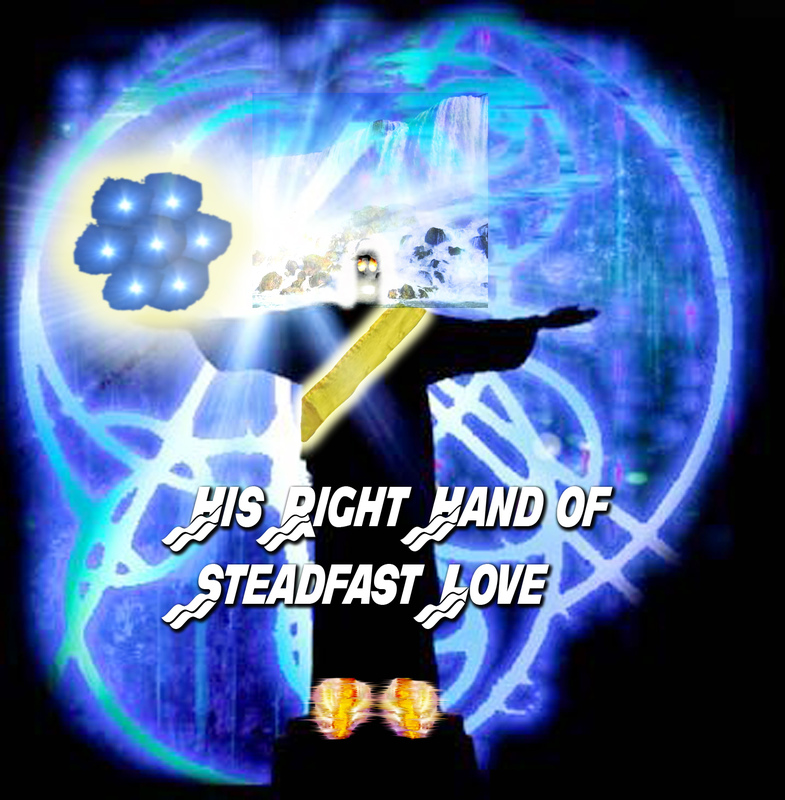 Specifically, the seven stars in His right hand means that Christ holds the power of the churches in His hand. The church age is His age; it is when He is at work among the nations. His kingdom is at work through the church. His right hand is the hand of power, and the church is to know His power! Ps 17:7 Wondrously show your steadfast love, O Savior of those who seek refuge from their adversaries at your right hand. Ps 48:10 Your right hand is filled with righteousness. Ps 63:8 My soul clings to you; your right hand upholds me. Ps 139:10 your right hand shall hold me. 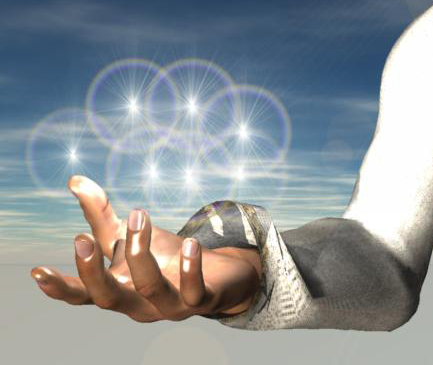 Isa 41:13 For I the Lord your God hold your right hand; it is I who say to you, “Fear not, I am the one who helps you”. Do we hold His Right Hand? Do we hold it with steadfast love? Or do we reach for him only when we are in trouble? Ps 16:8 “I have set the Lord always before me; because He is at my right hand, I shall not be shaken”. To have steadfast love is to have a love for Christ that is fixed in intensity and direction; it is steady, unwavering, marked by determination. The right hand represents strength, it represents steadfastness. When you hold His hand, you will never be shaken. Patient endurance is hupomoné; to persevere, remain under. A bearing up under, patience, endurance as to things or circumstances. It refers to that quality of character which does not allow one to surrender to circumstances or succumb under trial. Christ is writing to a church that has a steadfast love that is determined and fixed upon Him, and because of that steadfast love, they are enduring; they have not let go, they have not turned aside, they continue to lift up His name with everything they have, even if Jesus says it is little. Divine Love is triumphant love, love that is steadfast and sure, love that holds on no matter what it encounters or suffers through. Jesus is before the Church of Philadelphia, and in his hand is no rebuke, no call for repentance, only the reminder of His promises for them. This church was not a big church. It would be considered a rural church in a small farming town on the edge of a fertile valley. There is still a farming town there today. Although just a church in the country, and not a big city church with prestige, the church in Philadelphia was special to Jesus. Therefore, He reminds them of His Promises. Marriage is always begun with a promise. Marriage is to be a display of God’s steadfast love, yet we all know the tragedy of marriages in America. Steadfast love has been re-defined to mean 5 years, 10 years, or until I find someone better. 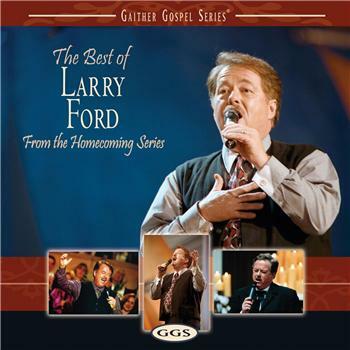 Well, with God, Steadfast Love is to be for a Lifetime! Marriage to me is like the word to Philadelphia – He that overcomes I will make a pillar in the temple of My God. 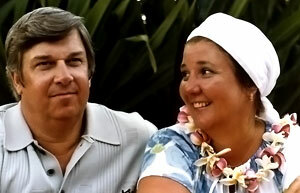 I am proud of my Mom and Dad for the example of being a pillar of steadfast love. They were far from perfect, and their marriage was very strained at times, but underneath it all was a steadfast love that withstood the trials and tests of time. I am so proud that we have in our church such pillars of steadfast love. I hope and pray that each of you will see the need to be pillars in this society of ours, to hold forth an example to your children of steadfast love. America is only as strong as our commitments to our families and our spouses. Yet, we read in Revelation 21: “And I saw no temple therein: for the Lord God the Almighty, and the Lamb are the temple thereof” (Rev. 21:22). There is no temple, God is the temple. Therefore, the Pillars will be in God Himself. You will always dwell in the heavenly Jerusalem. No more will you go out. You will be one who counts with God! All who are of the character of Philadelphia, marked by steadfast love, become strength in the place of God’s dwelling and in His interest. To be of great importance to God, in the presence of God, important in the Church, which is the New Jerusalem – love is the thing that must characterize us. It is not money, title, office, pedigree, or social standing. These things may give importance in this world, but in God’s Kingdom, it is love. It is steadfast love when you are weak, steadfast love when you are persecuted, steadfast love when you are barely able to hold on. DO YOU WANT TO COUNT FOR SOMETHING BEFORE CHRIST? The way to be something for God is not based on how much you know, how much you have studied, or even how many verses you have memorized. Understand this about what God Values: He says in James 5: 11 – Behold, we call them blessed which endured. God will often take us through something that is designed to bring us to a feeling of nothingness. He wants us to love Him not because of what we have, but simply because of who He is. You do not want to be loved because of what you are able to do. You want to be loved for your own sake. When it is like that, and we get away from all our ambitions, all our craving for recognition and reputation, and we love the Lord for His own sake, we have attained a place of tremendous importance – pillars of strength in the things of God, in the temple of God, in the presence of God. Love is the key to all spiritual significance. What matters to God is not the number of our trials, but that we reach God’s goal through them. That Goal is steadfast Love for God no matter what we have or do not have. It is pure love for Jehovah God. So with the background of Christ wanting us to see that Divine Love is Steadfast Love, let’s look at this letter. The one who has the sure right hand wants us to see Him as the true one, the holy one. This true refers to the fact that He is the real Jesus, the real God, he is no man made idol, no figment of man’s imagination. The real Jesus is Holy, He is sacred, He is set apart, and He is God! So when you pray to Jesus, when you talk about Jesus, remember the real Jesus is no Christmas ornament, He is Holy, He is righteous, and His Holiness is essential to love Him with steadfast love. The real Jesus holds the key of David. He has the authority of the throne of David, which is the throne of God! 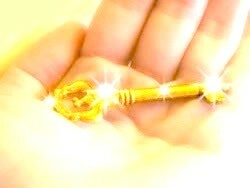 The promises of God to David are held in the key of David. Jesus Christ is coming soon, and He will be holding the key of David. He will have authority to sit on the throne of David and rule the world. Our Lord refers back to that passage in Isaiah and applies it to himself: “I am the one who shuts and no one can open, and opens and no one can shut”. His will cannot be opposed. He governs the events of history on earth. He will open some doors; he will close other doors… Jesus has the authority to open and to close. That which He opens, no one shuts, that which He closes, and no one opens. We have the privilege to partner with Christ here on earth through our prayers. These verses come on the heal of the teaching on church discipline. They form the foundation for church discipline. 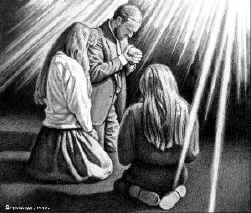 That foundation is that when we are united in prayer and are agreed on God’s will, what we pray to be bound will be bound, and what we pray to be loosed will be loosed. The key is coming together, being led of the Holy Spirit to pray in unity about something. In the case of church discipline, the church comes together to deal with someone who is unrepentant. If the church is led to close the door of the church to that person, then he is bound in heaven. The doors of God’s care and fellowship are shut. The church has great authority here on earth, and in truth, God partners with His people in effecting His will. However, we fail to partner with God because our eyes and hearts are not open to see the injustice in the world, or we do not desire God’s will. Our love for God must be steadfast, it must be resolute, always desiring His will here on earth. We must never retreat into thinking there is nothing we can do, that it is hopeless. We have the power to shake the Key of David through our prayers! Jesus knows their works, but He does not detail them as the other letters did. However, they are good, because Jesus sets before them an open door, which no one can shut. I believe this door is complete access to Jesus, it is complete access to His power and glory and love! No one can shut it; no one can take it away. The church of Philadelphia has a special door to Christ, one that no one can shut. I believe we all have a special door to Christ. I believe He lives in each of us. The problem is that we shut the door of our heart to Him. We are the ones who are not steadfast in our love and devotion to Him. We are the ones who let go of His right hand, and go our own way. The church at Philadelphia had a door that was always open because they have kept His Word and not denied His name. O they were weak in numbers, weak in power, but their love was resolute. They were steadfast in their devotion to His Word and to His Name! To such the Door to Jesus is always open! However, I want you to note something: Jesus said they had little power. These Christians were clearly no Elijah, able to pray fire from heaven. They were no Paul, able to be bitten by a poisonous snake and simply shake it off and go on preaching. They were no Moses, facing off against a mighty ruler and bringing him to his knees. No these folk were like you and me, struggling to make a life in a small town, where money and opportunities were slim. Yet they did have a little power, they did have an open door, they did have a steadfast love for the Word and for the Name of Jesus. They wore His name proudly in their forehead. They obeyed His Word no matter the cost or sacrifice. We think we cannot do anything for Jesus because we do not know too much, or we think we have no ‘spiritual power’, but the truth is that Little is Much when God is In IT! LITTLE THINGS WHICH ARE GREAT IN GOD’S SIGHT. Two or Three Gathered in His Name, Matt. 18:20. Only a Cup of Cold Water, Matt. 10:42. Little Children, Matt. 18:1-5 (“little” used 7xs in 18:1-14). Obviously, there were Jews who were making fun of this little church. They were saying that God loved them, that these Christians were noting to God. The Church that loves with Steadfast Love can always count on opposition! The Philadelphia letter reminds that any true church at any time, and especially during the last days, meets Satanic opposition…through imitation, religious ritualism, and hypocrisy—opposition strengthened by mixture of worldliness and religiousness. 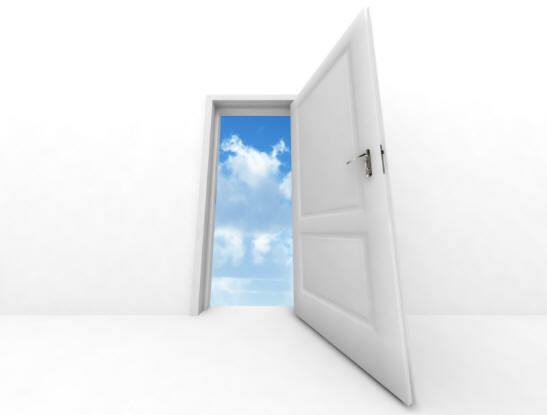 Jesus says, remember, the door is always open to me. I will make those “Jews” come and bow before you. They will learn it is you I have loved, and not them. We should not make fun of small things. We should not think less of one church just because they are small in number. What counts is the Love of Christ. I would rather pastor a church of 20 and know we are beloved of Christ than to pastor a church of a thousand who walked in their own way. There is a trial coming on the world, a great day of tribulation. Joel 2:1 Blow a trumpet in Zion; sound an alarm on my holy mountain! Let all the inhabitants of the land tremble, for the day of the Lord is coming; it is near, a day of darkness and gloom, a day of clouds and thick darkness! But Jesus promises these weak but steadfast Christians that they will escape, they will go through that open door and not face the tribulation that the world will endure. Because of their faithfulness, the Christians in Philadelphia are promised that they will be kept from the hour of trial which will come upon the earth as a divine judgment. But the promise to the church is specifically that it is to be delivered from the hour of trial. Actually, the word is not “from”, but “out of” — to be delivered out of — not just the trial but out of the very time of the trial! This is one of the clearest promises in the Bible of the catching away of the church before the great tribulation begins. 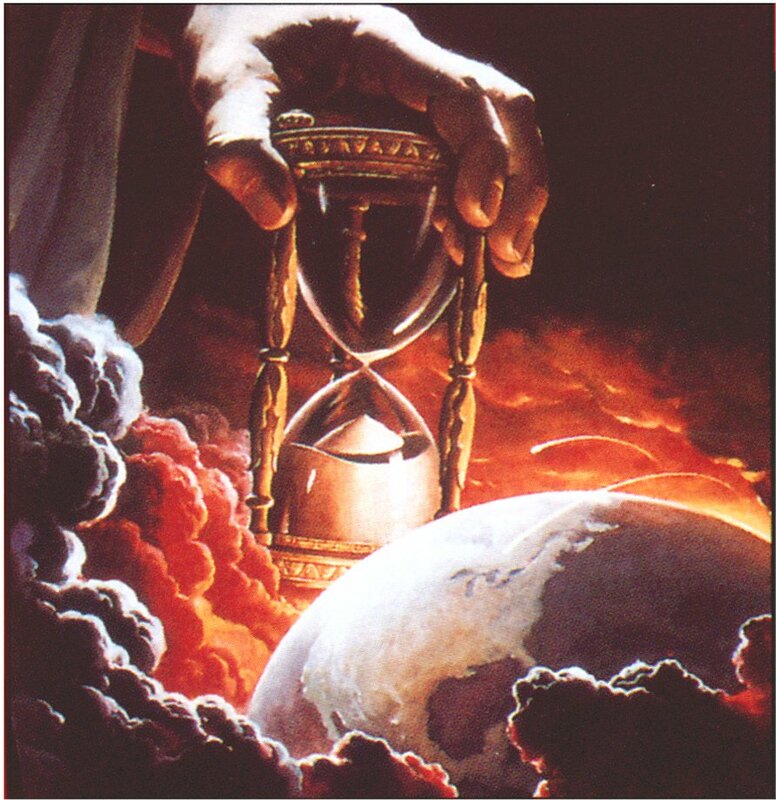 The time of trial and trouble described in Revelation 6 to 19. This time of tribulation will overtake the entire world, as God inflicts His wrath upon unbelieving Gentiles as well as upon Christ-rejecting Jews. The Philadelphian church is therefore promised deliverance from the time of trouble, which will overtake the world but will not overtake them. Hold fast what you have. Even though your strength is weak, even though the trials have sapped your strength, keep holding on! Your crown is at stake, the crown of steadfast love! We read, “And I saw no temple therein: for the Lord God the Almighty, and the Lamb are the temple thereof” (Rev. 21:22). It indicates a fixed and unchangeable state. He shall go no more out. They have now overcome. They are partakers with their Lord in all his glory. They abide in his presence. They rejoice in his kingdom, and their joy no man takes from them. Oh how unspeakably happy is this prospect! 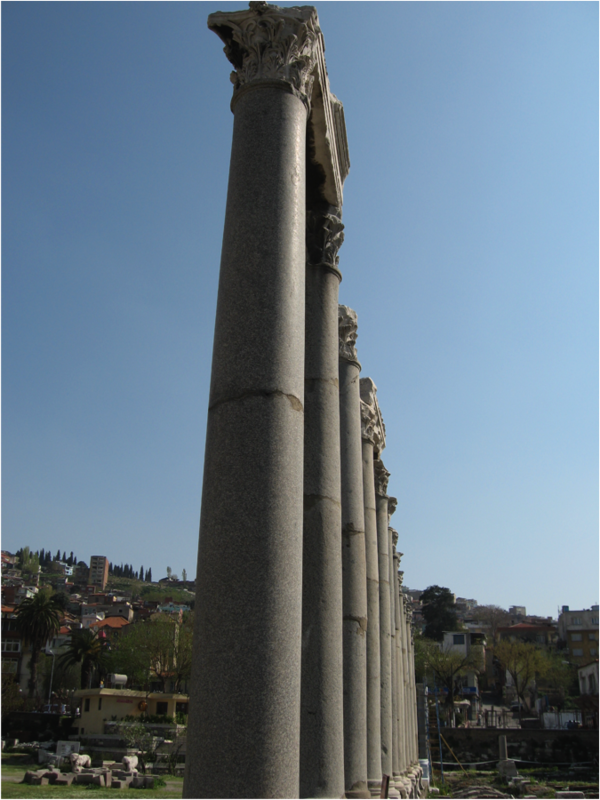 A pillar is a symbol of triumph. And what a triumph has the Savior accomplished for me! He spoiled principalities and powers for me, in his death on the cross, triumphing openly over them there. Every saint a separate illustration of his power. All the saints a combined demonstration of his all-conquering grace. A pillar is an instrument of commemoration. Living monuments of his works of grace. What testimonies do they give! What evidences do they remain forever! In the history of each of them, what wonderful chapters have been written, and are to be read hereafter! They are thus pillars of record. Upon them are inscribed such histories of grace and power as the universe has never seen but in them. Jacob sacrificed atop the pillar he made. There he pledged Jacob’s pledge. A pillar is an instrument of support. There is an end of all schisms in the body–of all separations of feeling or affection. Each saint is a cordial supporter of this happy union among the people of God. They unite in one song of praise. They engage in one heavenly worship. They surround one throne and one Lord in one common affection and obedience. The many tongues of earth are all forgotten in the one song of heaven. Each saint is a supporter of Divine authority. A pillar sometimes has an inscription or an identifying mark chiseled into it by the stonemason. Jesus promises to write upon the pillar (the faithful Christian) the name of God, the name of the New Jerusalem, and Christ’s new name. A change of names would be meaningful to the Philadelphians because that city changed its name twice in its history. It called itself Neocaesarea when Tiberius helped it; and later on, in honor of Vespasian, one of the Flavian emperors, it changed its name to Flavia. (It later resumed the name Philadelphia.) Thus these people understood what it meant to have a different name. They will have the name of God, “the name of my God”. This is a promise that believers will be made godlike. “Godliness” is a shortened form of the word “godlikeness”. The purpose of the Spirit in our lives is to make us godly or godlike. 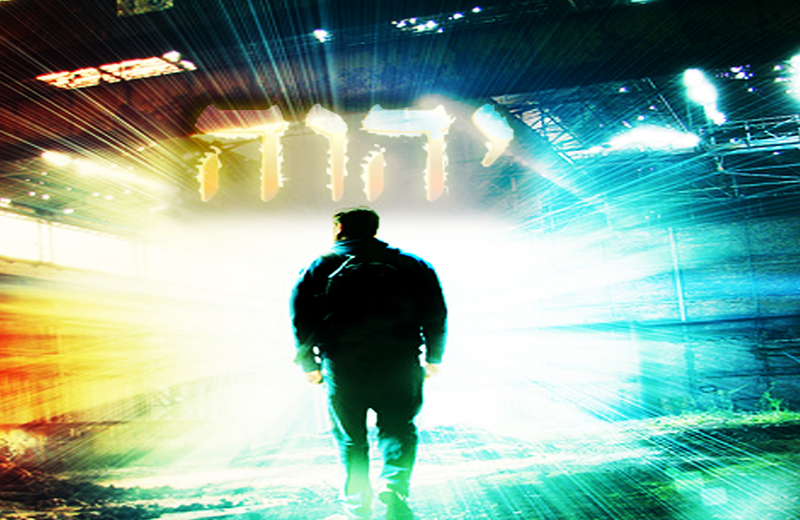 They will have the name of the city of God, the new Jerusalem. And, “I will write [on him] the name of the city of my God.” The last two chapters of Revelation give a vivid description of this wonderful city, the New Jerusalem, coming down from heaven “as a bride adorned for her husband” — a beautiful bride meeting her husband. That again is a picture of loving intimacy; someone captured by the beauty and goodness of another and longing to be with him or her. That is the second promise given to those who hold on, who stand fast in the midst of a decaying world. They will know the intimacy of a husband’s love for his beautiful bride. They will have a new name belonging to Christ. “I will also write on him my new name.” What is that? Since a name symbolizes one’s character this is a reference to the fact that when our Lord’s work of redemption is finished he will have a new name. Everyone wants to know what that new name is, but in Revelation 19:12 we are told that when Jesus appears he will have that new name written upon him, but it is a name that no man knows. 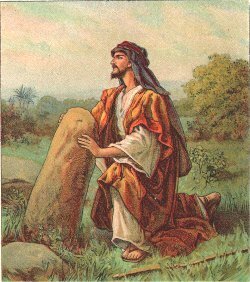 You can be a pillow Christian, choosing the comfort to your pillow when it comes to seeking after Christ, or you can be a Pillar Christian, steadfast in your love for Jesus, proudly bearing His name regardless of Satan’s attacks, or trials, or testing’s. You may not be strong in your own ability, but you are strong in Christ. Your faith allows you to see Him at work, and allows Him to make you a Pillar in the Temple of God. A Pillar Christian always holds the strong right hand of Jesus Christ. 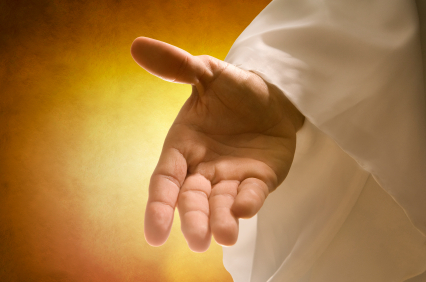 He holds eternity, He holds the churches, He holds the Holy Spirit, yet He can hold your hand. When you hold the hand of Jesus, you hold on to all that power, you are holding on to eternity!